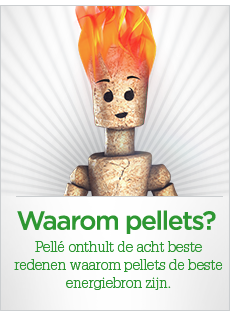 ÖkoFEN heeft het meest uitgebreide service- en distributienetwerk voor pelletketels in Europa. Wenst u vrijblijvend meer info over onze producten, de gegevens van de installateur uit uw buurt of heeft u een vraag? Contacteer ons! This website uses Google Analytics and Google Remarketing. These are services of Google Inc. ("Google"). Google uses so-called "cookies", text files that are stored on your computer and allow the analysis of your website use. The information generated by the cookie on your use of this website (including your IP address) is transferred to a Google server in the USA and stored there. The last three characters on the IP address are then deleted by Google, so exact allocation of the IP address is no longer possible. Google observes the data protection regulations of the "US Safe Harbor" agreement and is registered in the "Safe Harbor" program of the US Department of Commerce. Google will use this information to evaluate your use of the website, to compile reports on the website activities for the website operators, and to perform further services connected with the website use and Internet use. Google may also pass on this information to third parties where prescribed by law or if third parties process this data on behalf of Google. Third-party providers, including Google, place advertisements on Internet websites. Third-party providers, including Google, use stored cookies to place advertisements on the basis of previous visits of a user to this website. However, we point out that, in this case, you possibly may not be able to make use of the full scope of all the functions of this website. By using this website, you declare your consent to the processing of data collected on you by Google in the manner described above and for the purpose stated above.